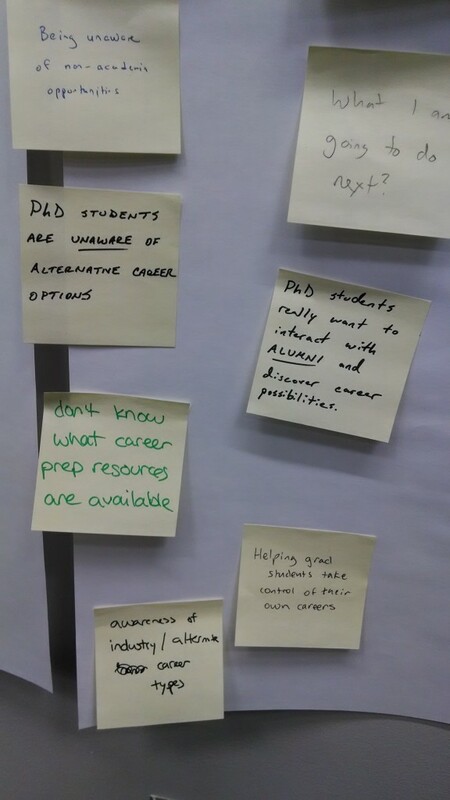 Kyle and I attended a seminar last week where a panel of postdocs/new faculty members gave advice on finding a postdoc position. When they were talking about interviewing, one of them mentioned that the potential advisors he interviewed with tended to pay for either the flight or hotel expenses but not both. The others on the panel concurred that only about half of their travel expenses were paid on average. That was shocking to me! When we interviewed for grad school, our flights, hotels, meals, and even alcohol were all paid for. It seems so strange that interviewing for a lower position would be paid for while interviewing for a higher position may or may not be, but I guess it’s the department vs. the individual advisor paying for the trips or whatever. I hadn’t counted on Kyle having to pay for travel expenses to whatever postdoc interviews he might have. I mean, I knew we might have to spruce up his wardrobe a bit, but that’s all. Now we need to start saving for that possibility or at least psychologically prepare to take it out of our nest egg. What other expenses might job-seekers encounter? I suppose ideally everyone should have an array of well-fitting professional clothing available for interviews, but as a post-bac and now grad student I can vouch that’s not always the case. Different types of employers also have different expectations of interview-appropriate clothing – I’ve worn from jeans and a sweater to a skirtsuit with hose. There is definitely the possibility of having to add some items of clothing to your wardrobe for the purpose of interviewing – you might even need to get a nice haircut or add other personal grooming to your usual routine. I rather assumed that all the positions we would apply for in the future would pay for travel based on our grad school interviewing process. I interviewed for an internship last year and they flew me out and reimbursed for all my expenses – twice. But I guess I was wrong! So sometimes the interviewee does have to pay for travel, which can really add up for faraway job opportunities or if multiple visits were needed. This job and my previous one both embraced and encouraged me to interview for my next positions so I didn’t have any conflicts about having to take days off. If you work hourly you’ll directly lose wages for interviewing during hours you normally work, but even if you’re salaried it will cost you vacation. If you freelance or work for yourself you have to trade your potential earning hours for not only interviewing but searching for jobs. I don’t like networking but I do love informational interviewing. Participating in either one of these activities could lighten your wallet. You might be taking contacts out for lunch or coffee or attending happy hours to meet new people in your field. Kyle and I both actually met contacts recently at a social engagement so it’s really worth it to put yourself (and a little cash) out there. Professional societies can help expand your network, pad your resume, or give you preference for a job, but they have associated fees. I joined an engineering society to give myself a better chance of getting a fellowship and then never applied for it – oops. I’ve taken some awesome personality and career prep tests through my university’s career center and taken advantage of their resume review and mock interview services. I think the services of a career coach or similar could be very beneficial but I’m sure they are pricy if you can’t get them from your alma mater. Have you paid for your own travel to interviews? What expenses have you incurred as a job-seeker? Do you save up for or cash flow interviewing expenses? 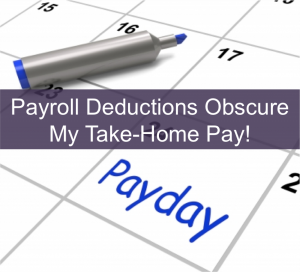 First Job Problems: Payroll Deductions Are Annoying! 11 Responses to "Job-Seeking Expenses"
This is an important thing to keep in mind. It’s actually similar to reasons it’s hard for people who have very little income and assets to just “get a job” – it’s hard to get to even a “local” interview if you don’t have money for proper clothing or any transportation other than public, or hard to move up from minimum wage if you really, really need the hours – which I am saying not to seek pity for grad students, but to say we can have empathy for others for whom it’s even harder. I have two tips from others to pass on, though! A couple of my friends went on an academic road trip when when of them was job searching two years ago, visiting a few cities they thought they might like to end up if he got interviews – expensive and time consuming, definitely, but also a vacation that helped them plan their lives. It might be possible to look at interview travel in that sense. I’d really like to do the same next year but it seems unlikely financially, depends where the opportunities wind up being. You guys might not need to since you already know where you want to end up, but maybe for a postdoc? Your friends had a great idea to evaluate cities on their own in advance of applying for jobs. I think that’s a great investment of time and money for such a long-term commitment. Actually some people on grad school interviews with me brought their significant others along (on their own dime) and I think that’s a good idea too if you’ve never been to that city before. Networking is actually a line on our budget. Coffee trips, info interviews, etc. With informal interviews, I like to set them up when I’m visiting a city, and try to have several in one trip. I let people know that I’m coming from away but that I am interested in talking with them and of working in their area. I don’t put much stock in honors societies, but I am a dues-paying member of a professional organization. If nothing else, it gives me the opportunity to participate in lots of networking in my field. Wow, that’s awesome it’s a line item! Sounds like you’re being really proactive about the job searching. When I was interviewing in 2009, I paid for most of my travel expenses. One of the interviews I probably wouldnt have gotten an in-person interview but I offered to come down (It was only a few hour drive) and it ended up going really well. It was just a day trip, so the only cost was for food and gas, but I didnt think it was that bad. I ended up not getting the job because of a mis-communication on my part (and was notified of later), but I still feel like it was money and time well spent. The other interview I paid to come out for I stayed with a friend (and stayed for more than just the interview), but that went well as well – I ended up getting that offer but I turned it down. I have not had a job where I was compensated for the interview, actually. I have had two interviews that I wasn’t reimbursed for but in both cases I was in town anyway. I guess in academia it’s expected that you will make a major move with every advance in your education and career so they are accustomed to interviewing out-of-town candidates, unlike most positions. In general, I’ve found that most well-funded PIs will offer to pay for hotel, and airfare if needed. 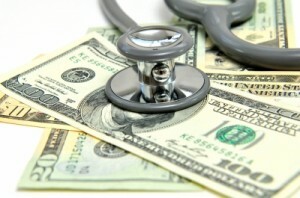 If you are within driving distance, it’s much less likely that you’ll be reimbursed. My personal thinking though is that if they don’t offer to pay most of your travel expenses for a postdoc interview, then their funding situation is probably limited (so why would you take a chance like that for a postdoc?). It might also say something about how they treat their lab staff in general (i.e. are they a generous boss). Not sure if this is the case across all disciplines, but has been the case for me and my grad cohort when we interviewed (biomedical sciences). Glad to hear you were above the average stated to us – though all those people were bio-sciences/BME also! Good point about paying for travel being an indication of the overall funding situation.